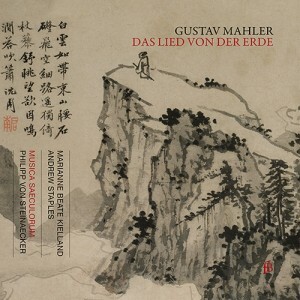 The distance is so vast between the Eighth Symphony, Mahler’s triumphal hymn addressed to humanity at large, and Das Lied von der Erde, a humble meditation on man’s destiny on earth, that moving from one to the other is almost like entering a new universe. To explain such a radical change of mood, we must recall the rapid succession of tragic events that took place in Mahler’s life in 1907. The first was his taking leave of the hated and beloved Vienna Opera where he had for ten years realized so many of his theatrical and musical dreams; the second the death, at the beginning of the summer, of his elder daughter, Maria, from diphtheria; and the last the frightening diagnosis that Mahler was suffering from a heart ailment, which he at first wrongly interpreted as a death sentence. Moreover, these misfortunes, far from bringing together the ill-matched Mahler and wife Alma, had driven them further apart.